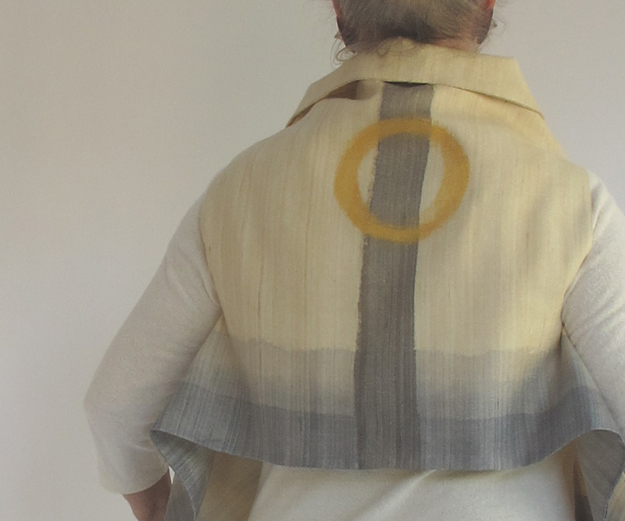 I PAINT MY GARMENTS ON NATURAL SILK, TURNING THE TRADITIONAL TECHNIQUE INTO SOMETHING CONTEMPORARY AND PERSONAL. I BELIEVE IN THE BEAUTY OF REAL WOMEN, AND THEREFORE CHOOSE MODELS OF ALL AGES AND SIZES. MY "FASHION" IS TIMELESS. IT DOESN'T FOLLOW TRENDS REGARDING EITHER COLOR OR SHAPE. PERFECT FOR TRAVEL, LIGHTWEIGHT, AND EASY TO PACK.